Friday, April 7, 2017 4:30 PM Bishop Noll Institute AWAY 7 * Whiting High School HOME 2 Game Recap A solid team effort earned the Warriors a 7–2 conference victory over the Whiting Oilers. Tuesday, April 4, 2017 4:30 PM Bishop Noll Institute AWAY 3 * River Forest High School HOME 1 Game Recap Lady Warriors beat River Forest 3-1 on Wednesday. Hailey Dugen had 9 strike outs and held the Ingots to 3 hits while the Warriors had 8. BNI Softball takes on Whiting Friday at 4:30. Saturday, April 1, 2017 11:00 AM Merrillville High School AWAY 2 Bishop Noll Institute HOME 3 Game Recap The Lady Warriors won their first game of the season against the Pirates 3-2. The ladies racked up 7 hits with only 1 error. Wednesday, March 29, 2017 4:30 PM Bishop Noll Institute AWAY 12 Gavit High School HOME 3 Game Recap The Warriors scored big in their first win against Gavit! The Warriors are now 1-1. 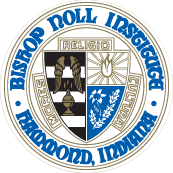 Tuesday, March 28, 2017 4:30 PM Bishop Noll Institute AWAY 0 Lake Central High School HOME 5 Game Recap The Warriors fell to the Indians in the first game of the season, holding the 4A team to only 5 runs. Thursday, March 30, 2017 4:30 PM Bishop Noll Institute AWAY 0 Crown Point High School HOME 0 Game Recap Rain out. The girls cleaned up at the Hoosier State Relays on Saturday. It was a long day, but everyone who competed achieved their personal best at the meet. The girls shaved 6 seconds off their time in the relay. The team medaled in 4 events. Out of 42 schools BNI came in 6th place!